If you were ever the victim of a violent crime you understand the trauma and pain that may occur as a result of the experience. 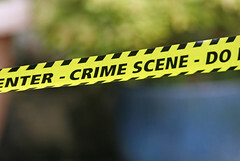 The effects of a violent criminal encounter can have various unwanted results, whether that be in the form of posttraumatic stress disorder (PTSD), mental trauma, personal injury or even death. It’s important for a person that has suffered personal injury after a violent attack to understand that there are avenues to pursue for recovery. One of those avenues includes financial compensation for victims of criminal violence. In 2010 the Victims of Crime Compensation Office (VCCO) of New Jersey awarded over $9,000,000 in compensatory funds to victims of crimes. This is a clear example of the willingness on the part of the state of New Jersey to help assist victims with recovering compensation and helping to alleviate some of the burden of the intense ordeal they may have faced. How Do I Qualify To Receive Compensation For My Injuries From A Criminal Act? The law allows you to file for compensations within three years from the time of injury or death. It’s important to note that consulting with an attorney to help assist you through the process can prove invaluable in your case. Whenever a case is filed for compensation, the victim is required to maintain full cooperation with the police and the prosecutor’s office. An attorney can assist with this matter and make sure that you remain protected, you are given the compensation your need and that the investigator remains apprised of all the required information along the way. The other main qualification to receive compensation in New Jersey is that the crime needs to have occurred in New Jersey, however the victim does not need to be a resident of New Jersey. Are There Any Factors that Might Prohibit Me From Receiving Compensation? You are currently in prison and the incident in question took place in prison. If you had any involvement in the activity that may have caused the injury or death. If you were the victim of a motor vehicle or boating accident in which you had knowledge that the operator of the vehicle was under the influence of drugs or alcohol. What Types of Compensation Benefits Can I Receive? The State of New Jersey allows for a maximum award of up $25,000 per claim on current cases. This award can cover a variety of different things and compensate for different expenses. Some compensation benefits may include, medical related expenses, loss of earning in personal injury cases, loss of support from the victim for dependents in a homicide case or for a surviving spouse whose earning capacity has been reduced in case of victim/spouse’s death. Other benefits may include, limited transportation costs, mental health counseling for the victim and immediate family, limited domestic service, funeral allowances of up $5,000, emergency financial assistance of up to $1,500 etc. Call The Rosenblum Law Firm Today For A Free Consultation About Your Injuries.